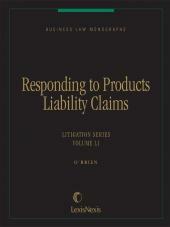 Increase your knowledge about various theories of liability and determine the best strategy for your case with this authoritative treatise. 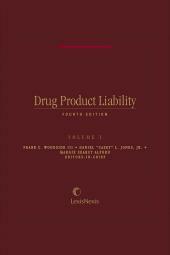 Drug Product Liability offers detailed analysis of litigation involving many of today's frequently prescribed drugs and medical devices. You'll find in-depth discussion of the unique responsibility of each party -- manufacture, physician, hospital, nurse, and pharmacist -- and valuable perspective you can apply to your case. Daniel "Casey" L. Jones, Jr.
Frank C. Woodside, III is a partner in the Cincinnati, Ohio law firm of Dinsmore & Shohl. His primary area of specialization is products liability actions involving drugs and medical devices. Dr. Woodside has been heavily involved in mass tort litigation, such as the Bendectin birth defect litigation, toxic shock syndrome litigation and breast implant litigation. Dr. Woodside also is an adjunct professor at the College of Law and the University of Cincinnati. He is a frequent lecturer, including Mealey's conferences on drug litigation. Daniel "Casey" L. Jones, Jr. is a partner in the Cincinnati, Ohio law firm of Dinsmore & Shohl. 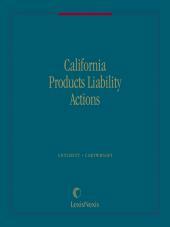 He is in the Product Liability and Environmental Practice Groups. Dan's practice includes general litigation with an emphasis on product liability, mass tort, toxic torts, environmental law and complex litigation. Dan has handled matters before state and federal courts in Ohio, Kentucky, Missouri, Illinois, Washington, Colorado, Iowa, Kansas, Wisconsin, Pennsylvania, and West Virginia. His product liability litigation experience involves a wide array of products including tobacco, Rezulin, Oxycontin, Phentermine, butter flavoring and asbestos. Dan has first-chair experience in numerous civil and criminal trials. He has practiced in both federal and state courts in multiple jurisdictions. 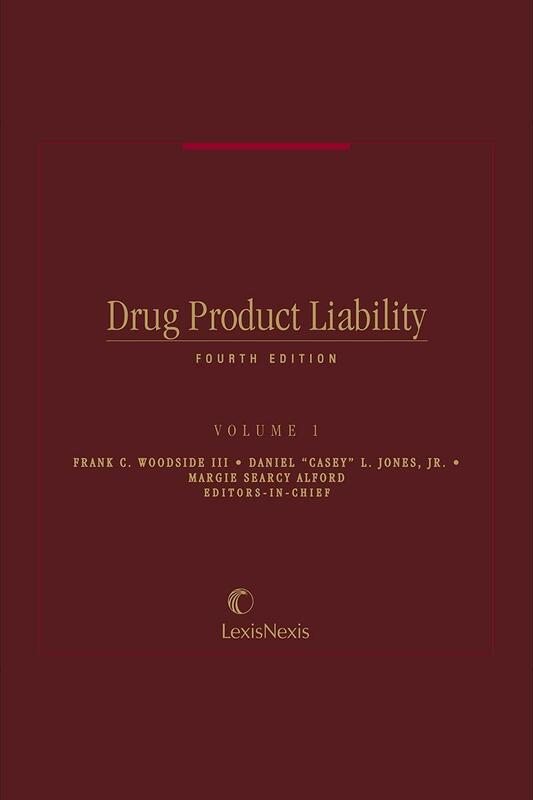 Margie Searcy Alford is the Principal Author and Editor-in-chief of the five volume set, A Guide to Toxic Torts (LexisNexis), a contributing author to the four volume set, Drug Product Liability (LexisNexis), and a contributing author to the two volume set, Alabama Civil Practice Forms (LexisNexis), plus many other publications. She served two years as National Chairperson of the American Association for Justice Section on Toxic, Environmental, and Pharmaceutical Tort Law and two years as National Chairperson of the Women Trial Lawyer's Caucus of the American Association for Justice. She was National head of the Dioxin Litigation Group for three years. Margie Searcy Alford practices in the area of serious personal injury with a special focus on toxic torts. 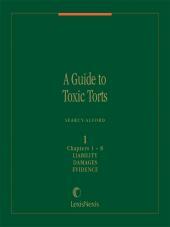 Attorney Alford has handled toxic tort cases in sixteen states. She graduated from The University of Alabama School of Law in 1974. She is a Fellow with the National College of Advocacy and a Trial Warrior for Justice. Attorney Alford was chosen the most outstanding young career women in Alabama by the Alabama Federation of Business and Professional Women and is in more than a hundred Who's Who type publications. She has served on many boards, committees, and commissions.